"I have long been an ardent believer in the science of homeopathy, and I fell happy that it has got now a greater hold in India than even in the land of its origin. It is not merely a collection of a few medicines, but a real science with a rational philosophy as its base." In 1987 was struck by a debilitating viral illness that manifested in chronic fatigue and pneumonia. “I tried regular medicine and it just didn’t work…I turned to a Homeopathic doctor in desperation… within four months he’d got me back up and on the road again”. (Sloan, 2004). Told Oprah viewers that she uses homeopathy to treat bee stings, mosquito bites and bruises.“I also turn to Homeopathic remedies for the treatment of indigestion, travel sickness, insomnia and hay fever just to name a few. Homeopathy offers a safe, natural alternative that causes no side effects or drug interactions”. “There have been two great revelations in my life: The first was bepop, the second was homeopathy.” "Because Homeopathy was simultaneously philosophical and experimental, it seemed to many people more rather than less scientific than orthodox medicine." Homoeopathy, unaided by the State, has wonderful progress to its credit. Its cheapness, its simplicity is remarkable. The cures it has affected are no less remarkable. I have no doubt; therefore, that it deserves state patronage as any other system of medicine. “Homeopathy …. cures a larger percentage of cases than any other method of treatment and is beyond doubt safer and more economical and most complete medical science.
" To some doctors, it stands as an act of faith, you consult a homeopath because you believe in it. To them, the placebo effect explains it all. To some more rational doctors, it is not understood but accepted after objective observation of the reality of its possibilities. I understand that homeopathy can reach human beings to the utmost sphere of the mind, the spiritual dimension. Homeopathy offers a perfect broadening of the art of healing and is a perfect complement to allopathy. " Homoeopathic treatment is my first choice not only for me but also for my family. Homoeopathy should be developed as full-fledged alternative system of medicine. More research and more development are essential to make Homoeopathy more popular and useful Homoeopath treats their patients in more compassionate way. Homoeopathy is second largest system of medicine being practiced in India. "Homeopahy is the safest and most reliable approach to ailments and has withstood the assaults of established medical pratice for over 100 years." Peter Hain, Secretary of State for Wales,UK. Pete Townsend (Guitarist for The Who) Suffers from partial deafness and tinnitus due to exposure to loud music during concerts. “I’ve had some treatment for it. 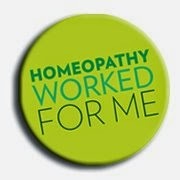 I found a homeopathic practitioner who has really helped reduce it tremendously”. (Wilkerson 2006, chapter 18, note 6). "It is not as if our homeopathic brothers are asleep: far from it, they are awake – many of them at any rate – to the importance of the scientific study of disease." I believe Homoeopathy as a system of cure has great scope in a poor country like India and deserves encouragement. An allopath comes and treats cholera patients and gives them his medicines. The Homeopath comes and gives his medicines and cures perhaps more than the allopath does because the Homoeopath does not disturb the patients but allows the nature to deal with them. "I use nothing but homeopathic remedies, for my girls as well."